Back in September, students planted three of the new garden beds with broccoli seedlings. One bed used Wildwood soil; another had a mix of Wildwood soil and Bumper Crop, a soil amendment product; and the third combined Wildwood soil and organic fertilizer. Like good scientists, students put forth several hypotheses as they pondered which planter would produce the healthiest plants. They observed and measured the seedlings, then entered the data into Google Docs. Students converted the data from their broccoli experiment into bar graphs. In the weeks that followed, each student had a specific job associated with the care of the seedlings. They watched the plants grow and made more observations. Last week, it was time to take final measures. They counted leaves and measured stalks. More data was entered into Google Docs. Now it was time to draw a conclusion. Anna handed out their data. 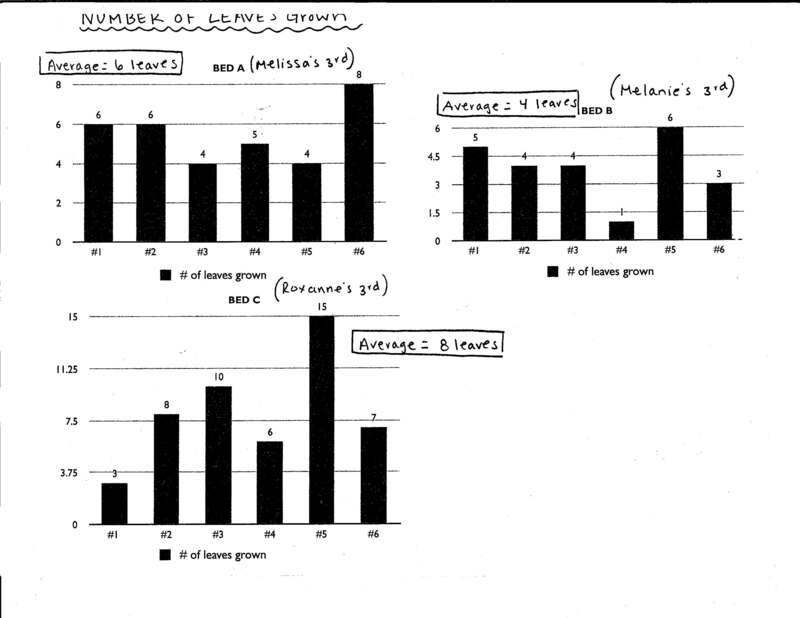 According to the bar graphs, the planter that had organic fertilizer had the biggest, leafiest plants by far. Anna asked students why they thought that was the case, and five hands shot up. 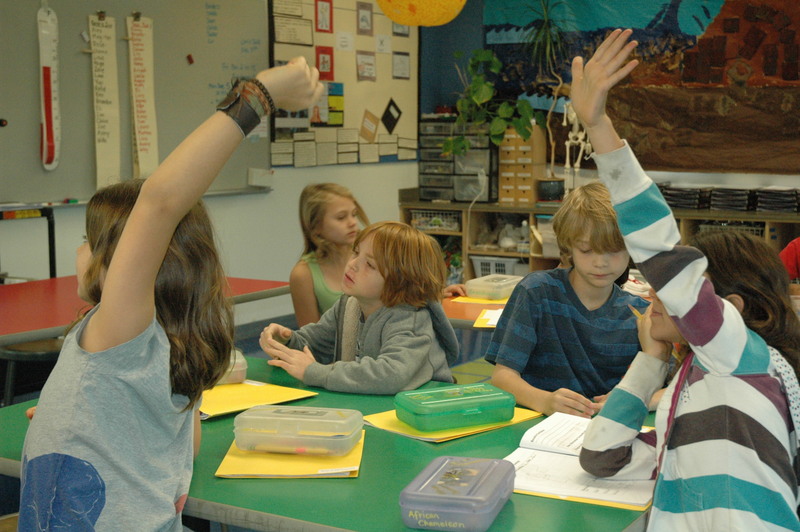 Third graders debate the reasons why one planter box yielded healthier plants than the others. “Maybe it was better soil,” answered one boy, and other kids voiced their agreement. Yes, Anna said, sunlight could impact growth. But she pushed them to keep thinking. One girl noticed there was another plant in the box with the broccoli. Hmmm. Maybe that had something to do with it? Anna agreed. The plant was a marigold, which is a natural bug deterrent. Puzzled faces stared back at her. Ah, the work of a scientist is never done.